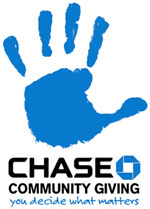 The Fall 2011 edition of the Chase Community Giving campaign on Facebook is quickly coming to an end, and many of Drum Corps international's units are still in the running to share in the more than $3 million worth of grant money that the financial institution is giving away. With the cost of running and operating drum corps across the country continually on the rise, a simple vote from you on Facebook for these worthy organizations can really go a long way. Groups like the Academy and Oregon Crusaders are within striking distance of a top five spot on the leader board, which would mean a $100,000 pay day, with others like the Blue Knights, Cascades, Colts, Crossmen, Genesis, Legends, Pioneer, Raiders and Velvet Knights shooting for a spot in the top 100, each hoping to recieve $25,000 for their efforts. The campaign ends on Tuesday, Nov. 22 at 12 p.m. ET.